Many travelers treat Jakarta simply as a stopover spot on their way to Bali’s island paradise. But this metropolitan capital to Indonesia certainly deserves more than a day or two,especially if you’re wanting to try all of the delightful eateries that add glam, glitz and style to the Big Durian. Sampled here are some of the capital’s best gourmet offerings, from international to local delights alike! This laid-back lounge style restaurant/bar is proving hugely popular. It is the latest addition to a long list of successes by the Ismaya group, who also runs the ever popular Blowfish, Dragonfly and Sushi Groove. 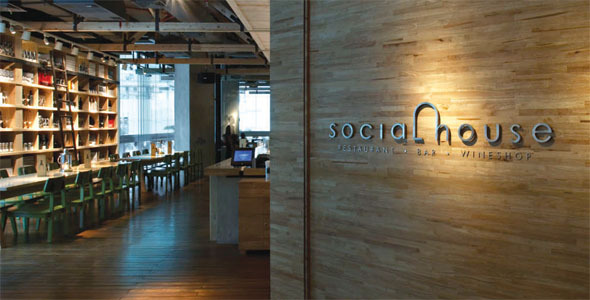 Social House, or SoHo, as it is affectionately known, boasts huge windows and a panoramic view of the iconic Hotel Indonesia Kempinski and its surrounding. The Apartment lives up to its name in spectacular fashion. The interior of the restaurant is uniquely designed as an apartment complex. Diners can choose to be seated in the kitchen, living room, bedroom or even the bathroom! The decor plays right into the delightful food served by Chef Andry Winata, who specializes in modern European cuisine with Italian influence. Not far from Jakarta is the hilly town of Bandung, a perfect spot for a weekend-getaway. There, you can enjoy a refreshing bath at the thermal hot pools in Ciater! For excellent Indonesian food with Javanese and Peranakan Chinese influences, head to Dapur Babah at Jl Veteran 1, near Merdeka Square. This restaurant reeks of colonial charms. It’s filled with various objects and items that look like they belong in a museum instead of a restaurant. Dapur Babah is more than just a restaurant. It is a living museum that will transport you to the Batavia of old. The cuisine on offer is similarly nostalgic, featuring some of the best renditions of traditional local delights you’ll ever taste in town. This well known restaurant has a branch in Jakarta and Bali. Its wholesome, authentic, homemade pasta is filled with creamy goodness. A homey and friendly spot where good times and good food reign, this simple Italian trattoria restaurant is well known to lovers of Italian food city-wide. The two storey restaurant is a great place for business lunches and brunches. It also serves as a comfy hangout for group dinners. If you’re visiting Jakarta, don’t forget to also head to Pulau Seribu (Thousand Islands), a group of small islands located approximately 2 hours north of Jakarta. A weekend getaway would be perfect to destress and get away from the hectic urban living in Jakarta! The recently opened new wing at Plaza Indonesia plays host to Immigrant as its crowning jewel. Located on the sixth floor, this flashy new restaurant-lounge is set to attract the city’s glam and glitzy crowd for the foreseeable future. 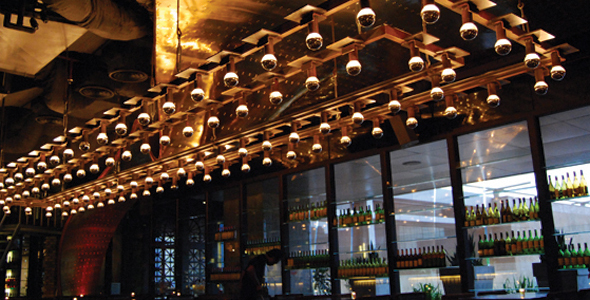 Just like SoHo, Immigrant features an open air balcony offering diners a fantastic view of the city skyline. The people behind Immigrant are also responsible for the celebrated Rustic restaurant, so you can be sure the steak here is up to par. Balinese food is much under-represented here in the nation’s capital, but Le Seminyak, an intimate restaurant located on Pacific Place’s fifth floor, is a welcome addition to the short list of Balinese restaurants in town. 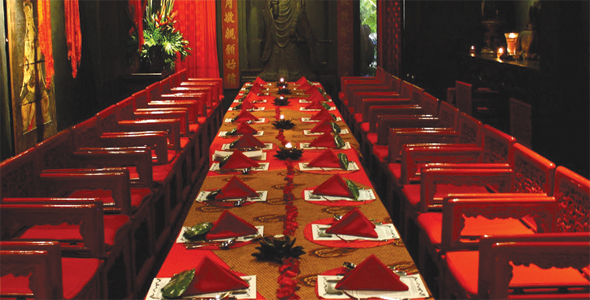 The restaurant is a breath of fresh air, with mellow earthy tones and wooden decor completing the Balinese experience. Unfortunately, the restaurant does not serve Bali’s famed pork dishes, as they are a halal restaurant. After a two-year layoff for renovation, the Mandarin Oriental Jakarta is now open for business. Cinnamon, and all day dining and buffet restaurant, is located on the hotel’s ground floor. The restaurant features all kinds of Asian food, as well as a selection of familiar international dishes. A relic from the Mandarin Hotel of old, however, is the cake shop, which has now been revived as Cinnamon’s dessert counter. Located in the newly expanded Plaza Senayan, TeSate is a classy modern restaurant where you can try out local favorites transformed into gourmet offerings. Try out the satay, nasi goreng (fried rice) and the ever popular sop buntut (oxtail soup), reinterpreted and redesigned for your enjoyment. Behind the pillars of Sampoerna Strategic Square’s South Tower Entrance stands Bibliotheque, arguably the hippest restaurant bar in Jakarta at the moment. In a city constantly crying out for innovation, Bibliotheque stands out with its low-key and effortless concept, that of an old-school library with books and wooden panels. The food is a mix of Middle Eastern and Western cuisines.